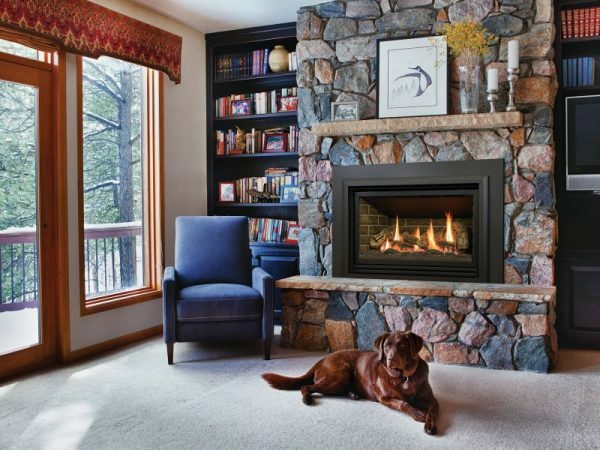 This direct vent gas fireplace insert is suitable for almost any location. 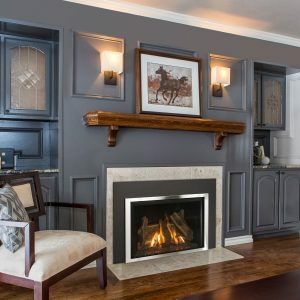 With ease, a professional installer can turn your wood-burning fireplace into a energy efficient gas insert fireplace that will fit effortlessly in the existing hole of your old masonry fireplace providing energy-efficient warmth as well as adding an attractive accent to any room. 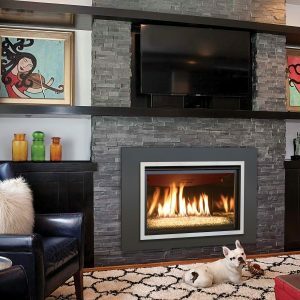 This range of fireplaces has been created for modern living – no matter what type of home you might have, a direct vent gas fireplace can be easily installed, as long as you have a masonry chimney. Made to give years of useful service, modern innovation combines with proven technology to provide a fireplace that’s a superb investment. This gas insert fireplace operates at 36,000 BPU/hr input for natural gas and 36,500 BPU/hr for LP gas. With natural gas efficiency of 80% and LP gas of 75%, the Chaska 335S offers long term economy that’s always appealing. Many people find that fireplace inserts using gas can save them a significant amount of money on their fuel bills. Our fireplace gas inserts benefit from high-quality materials and superior workmanship. A fan kit, co-linear air kit and millivolt valve system all help to ensure that this fireplace operates reliably and effectively. Details such nine different screen front options that can come in a variety of colors, different refractory options, and the choice of a shroud trim to help all our customers to create a customized design that meets their exact specifications. Each fire is carefully created to provide an exceptional combination of stunning good looks and excellent, cost-effective performance. 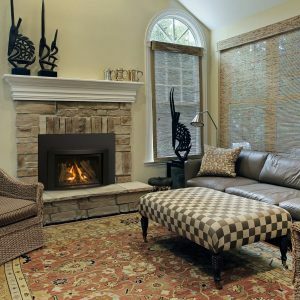 We are a well-established company that specializes in providing home owners with premium fireplace installations that can totally transform their interior space.